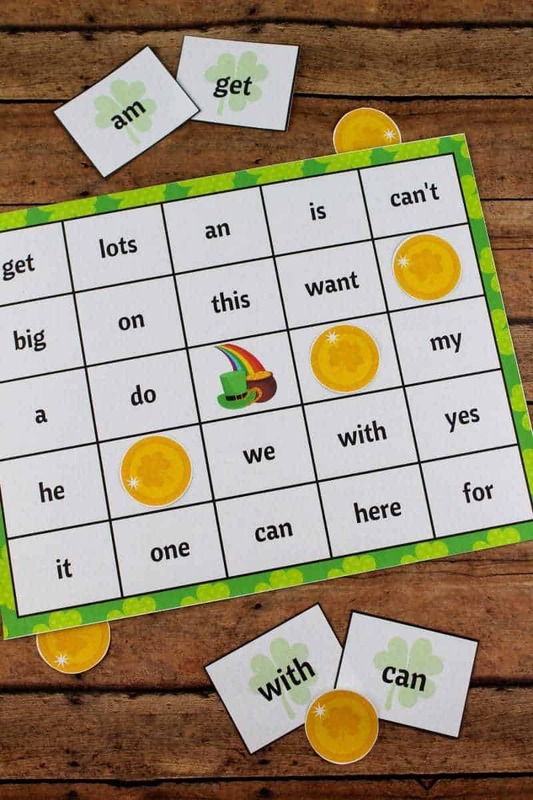 This printable St. Patrick's Day Bingo game is a fun and educational kids activity packed with 60 high frequency sight words. This printable bingo game is perfect to play in the days leading up to St. Patrick's Day. 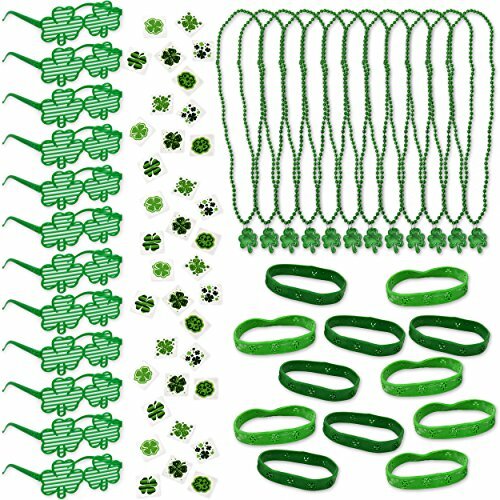 Whether in the classroom or at home, the kids will love this fun St. Patrick's Day game! 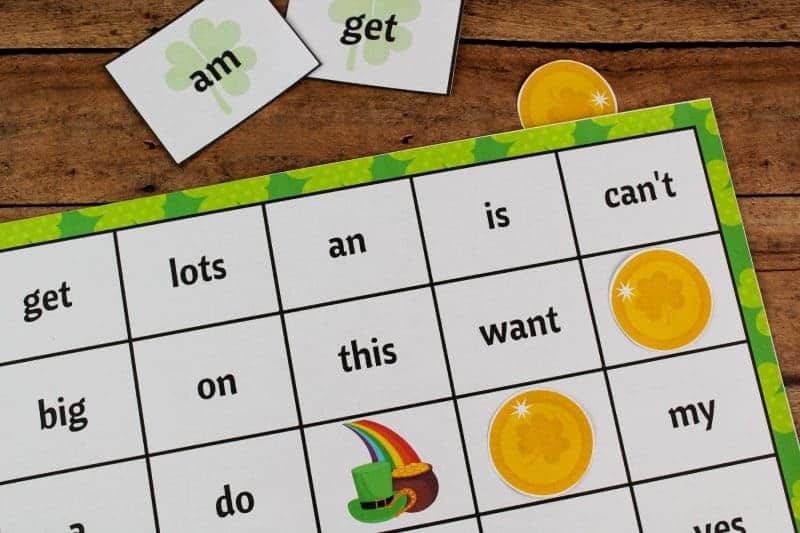 Simply download the St. Patrick's Day themed bingo boards, gold coin bingo markers, and flashcards, cut them out, and you will be ready to play. 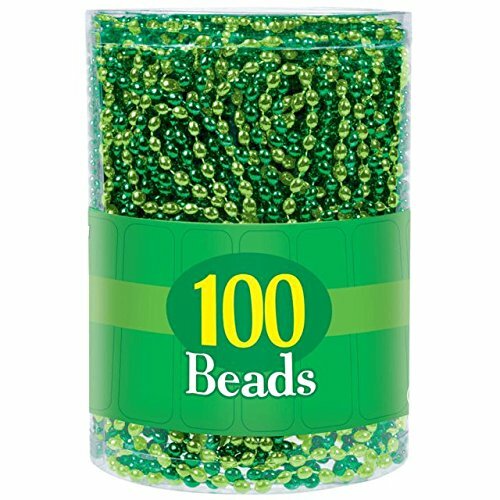 To make it the game more exciting, consider offering a prize for the winners such as St. Patrick's Day toys, stickers, or candies. 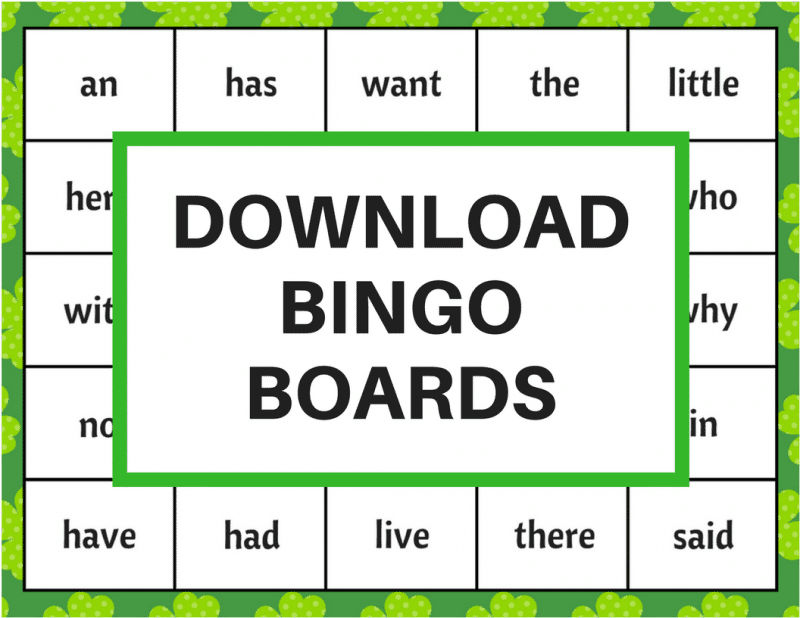 The download comes with 20 unique bingo boards, meaning that this game can be played with up to 20 children at a time. If you have a larger group of kids consider splitting the group and playing with half the group at a time while the other kiddos work on a different activity. 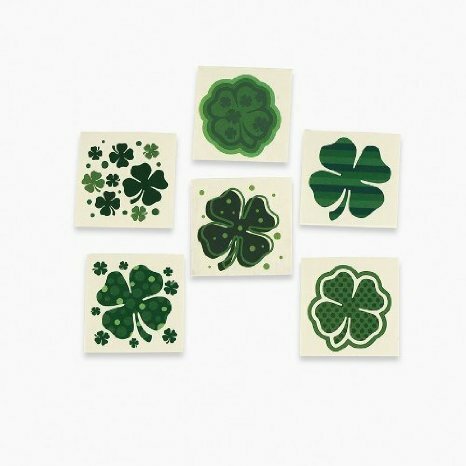 Download and print out the St. Patrick's Day bingo cards, bingo markers, and flashcards by clicking on the buttons above. You may want to print more than one sheet of the bingo markers if more than one child will be playing. Use scissors or a paper cutter to cut out the boards, markers, and flashcards. 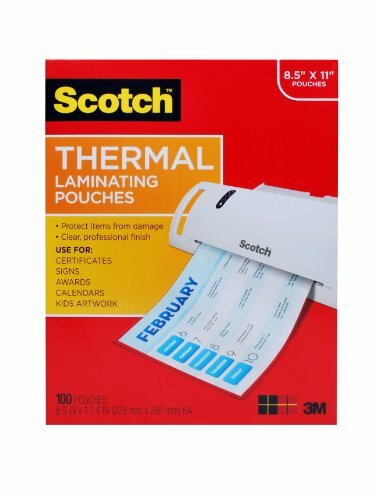 (Optional) Laminate the materials for prolonged use. While this step is optional, if you would like to save the game to play year after year, it is worth the extra step. Give each child a bingo board and several bingo markers. 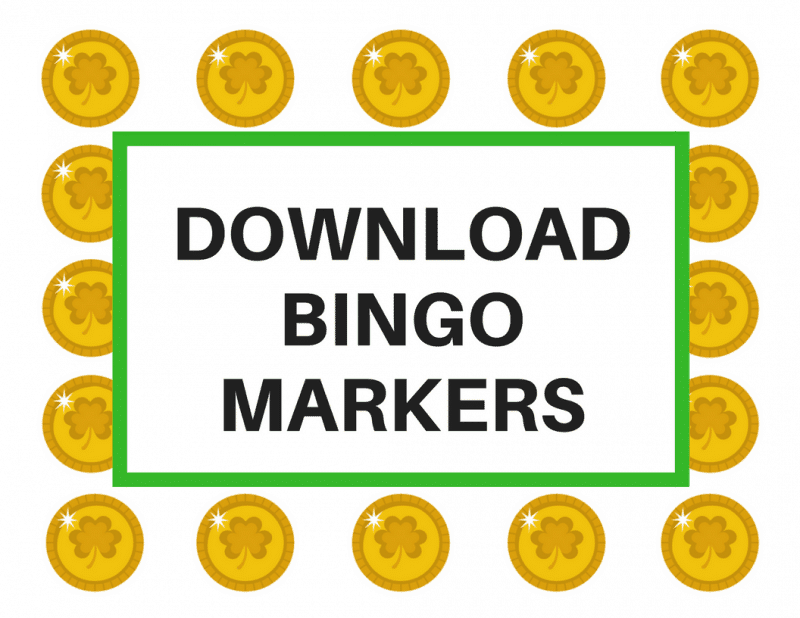 Allow each child to use one of their bingo markers to mark their free space. Place the sight word flashcards into a bowl or bag. 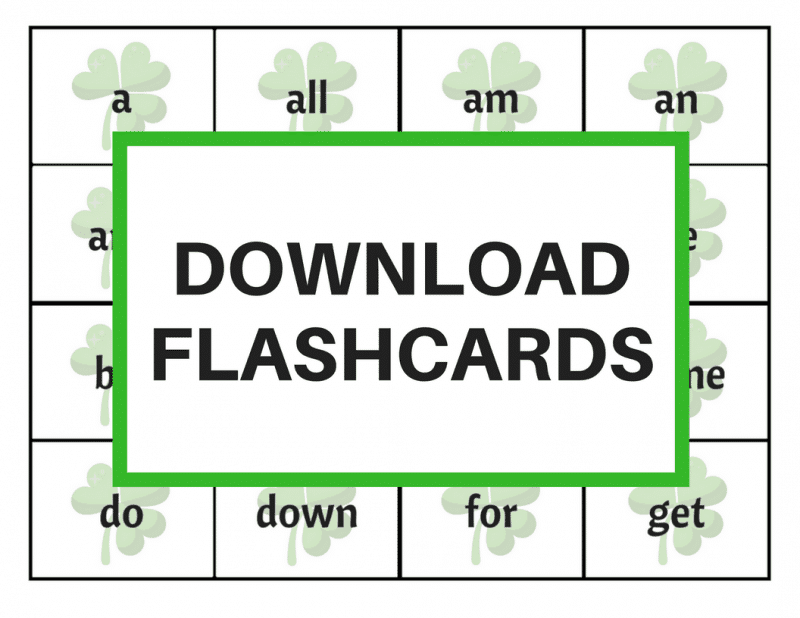 Pull out one flashcard at a time and show it to the children and/or read it to the children. 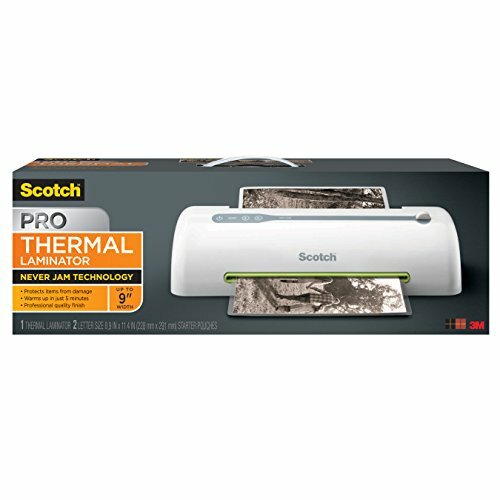 If you’re playing in a classroom, an overhead projector would be a great tool to use to ensure the entire class can see the flashcard. The first child to get all the sight words in a horizontal, diagonal, or vertical line will call out “BINGO!” and win the game.